A suspected thief is pulled from the water after his getaway swim leaves him breathless. 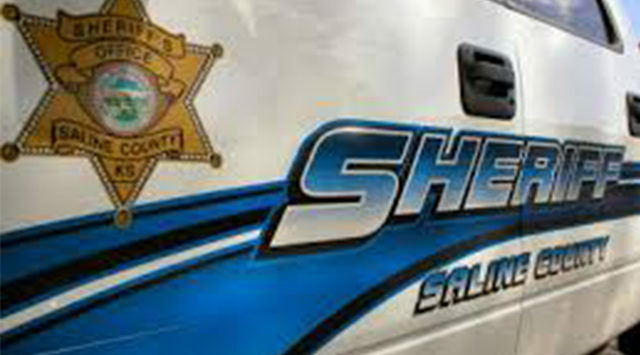 Saline County Undersheriff Roger Soldan tells KSAL News that deputies called a fire rescue squad on Sunday evening around 8:35pm to save a suspect who was eluding officers. Deputies had responded to the area of the water-filled pit at Johnson Sand Company, 2100 E. Schilling Road after a jogger saw a man breaking into a pickup. Soldan says 33-year-old Johnathan L. Ahlvers of McPherson was arrested after taking two laptop computers from inside the company’s office building and then driving off in a stolen pickup truck. Ahlvers allegedly fled on foot after the truck became stuck in the mud – and jumped into the water when deputies discovered him hiding in the cattails with 2 computers. Ahlvers was pulled from the water by paramedics because he was unable to climb up onto shore, treated and arrested on charges of theft, and burglary.